Addington School has a new school bus. A Walking School Bus! 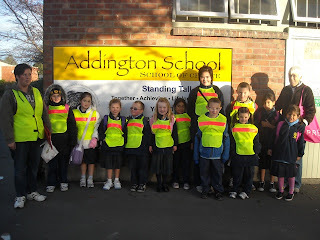 Every Wednesday morning at 8am children from Addington School are meeting at three different places around the Addington area and walking together to school. The PTA have organised this activity. 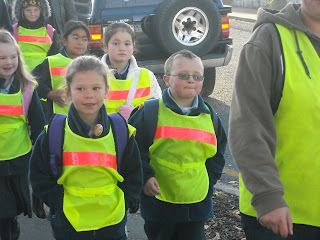 The children wear reflective vests and walk in lines to school. 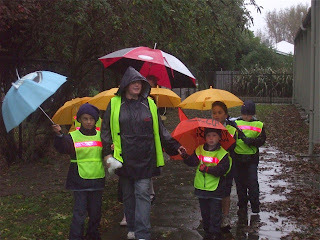 During their walk they sing, chat and get to meet other children from different classes.